We reviewed Little Things Forever when the download price was $2.99 and really enjoyed the game. Now it’s even better because it’s free for a limited time! QUALITY INDEX – 89%! – Top 10 iPhone + iPad Game 2010. APP STORE – Editor’s Choice. “This is a game for anyone drawn to, excited by, or nostalgic for the kid-like experience of hunting through simple imaginary worlds.” – Gamezebo 5/5. “Little Things Forever revisits a classic formula, pairing it with amazing visual design and simple mechanics that prove to be incredibly addictive.” – AppSpy 5/5. ” Fan of the genre or skeptic, there are few games to be found on iOS that are as worth the price as this one.” – Touch Arcade. * Unique and beautiful seek and find game for everyone. * 101 puzzle pieces to collect and 9 puzzles to solve. 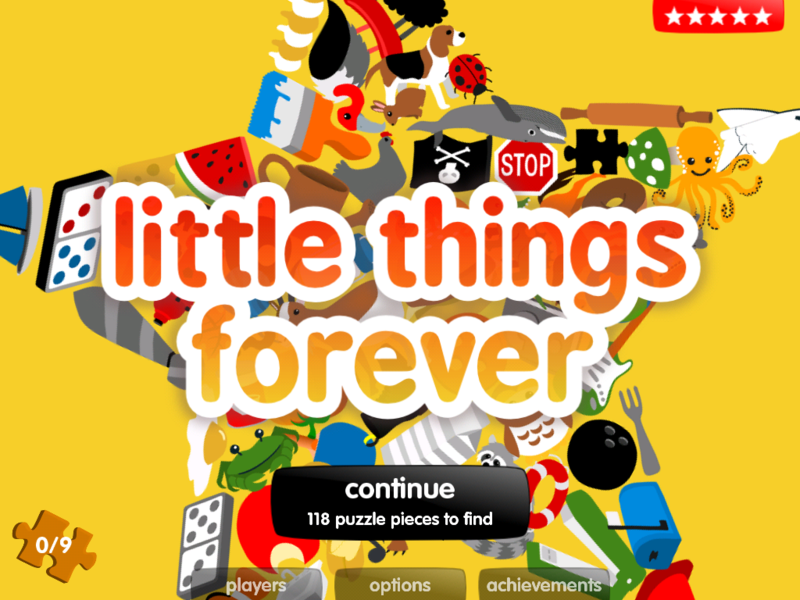 * Built to last: Little Things® Forever will feature new puzzles delivered in future updates. Little Things Forever can be played in English, French, Spanish, German, Italian, Dutch, Brazilian Portugese, Chinese, Japanese, Korean, Polish and Russian. SUPPORT NOTE: Anyone experiencing crashes during gameplay, PLEASE turn off your device by pressing and holding the power button to refresh your device’s memory.